The second half of Luke's Gospel sees Jesus walking to Jerusalem to die on his cross in order to open his kingdom to anyone who would come. Luke offers joyful certainty not just that God's kingdom is perfect, but that its gates are open. 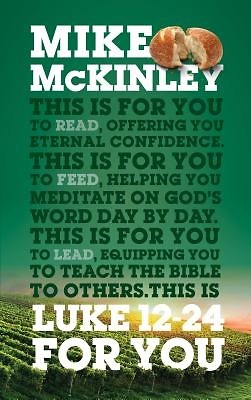 With a close attention to the text and a focus on real-life application, Mike McKinley brings us face to face with Jesus in a compelling way for both experienced and new readers of this Gospel.